Handsontable - Exciting News for Handsontable Pro Users! Exciting News for Handsontable Pro Users! We’re excited to introduce several changes to our website, documentation and user accounts. At the same time, we’ll be moving Handsontable Pro from our internal GitLab to a publicly available repository on GitHub. This is something we have planned to do for a long time, and we hope that it will simplify the process of downloading and installing Handsontable Pro. To ensure a smooth transition for our users, we are going to maintain the repository on GitLab until the end of 2017. Starting with Handsontable Pro version 1.14.0, you will now need to pass a valid license key via the configuration object. You will receive the license key for your copy of the software immediately after purchase at my.handsontable.com. As we grow Handsontable, adding new features and expanding to new platforms, we also need to grow our team to help secure future growth and stability. Developer Plus License pricing is now 1290 USD / developer. Developer Plus is the new name for a license with extended support and a maintenance plan. We have also decided to shutter the existing 30-day trial plan. 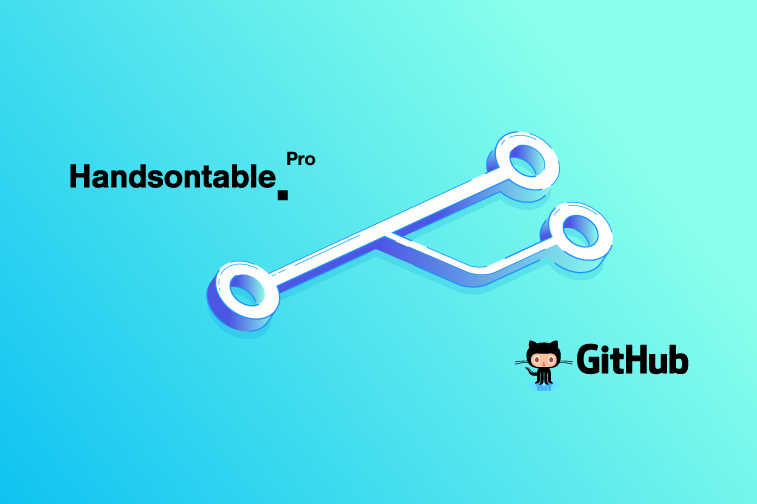 From now on, Handsontable Pro will be available for an unlimited evaluation period on its new GitHub repository. No sign-up for a trial is required. Support is still provided for all Pro users through support@handsontable.com and via the developers’ forum. If you have any questions regarding the latest changes, please contact our support team. Thank you for your ongoing support, we wouldn’t be where we are today without you.